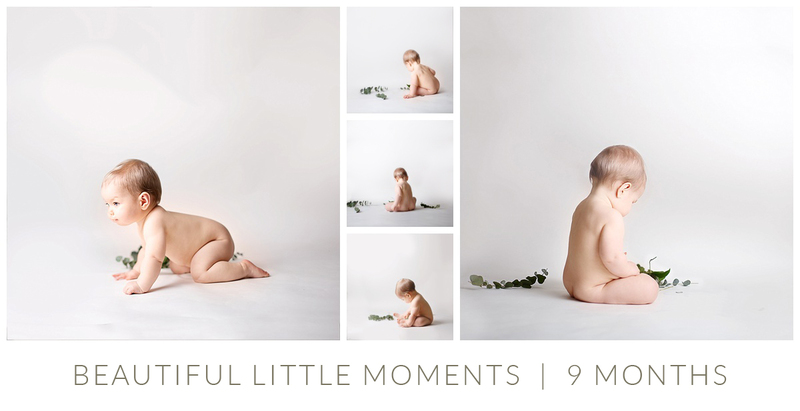 My milestone photography package is a great choice for capturing all the growing phases of their amazing first year. It’s no secret that your baby grows a lot – and I do mean a lot – and there’s nothing I love more than looking back over photographs and seeing how much they’ve changed. So to help you capture a beautiful collection of portraits of your little one at key developmental milestone I have put together a milestone package. With a milestone package, I’m there to capture all those transitional moments. Your baby will soon develop their own little personality. It’s beautiful to see it blossom and capture it on camera. Sometimes there are faces your child makes, or habits she/he has, that don’t last more than a few months. Having professional photos of those little idiosyncrasies…. Priceless! The first developmental milestone is when they have achieved some neck/head control and can hold their head a little. This usually happens around 4 months. The next major developmental milestone is when they can support themselves sitting. This can be anywhere from 6-8 months. This is my absolute favourite age range to photograph. They are captivating at this age, they have become inquisitive and are showing the first glimpses of their personality through facial expressions and posture. And best of all they can do all this while staying in the place you left them 🙂 As a mother and a photographer I can say that I truly loved this period with my own little one and I definitely miss the times I could put her down and know that’s where she’d be two minutes later. And the final major milestone I love to capture is as they complete their first year of life and celebrate their first birthday. A truly special time as you look back on your first year together and remember all those wonderful (and sometimes not so beautiful) little moments together. 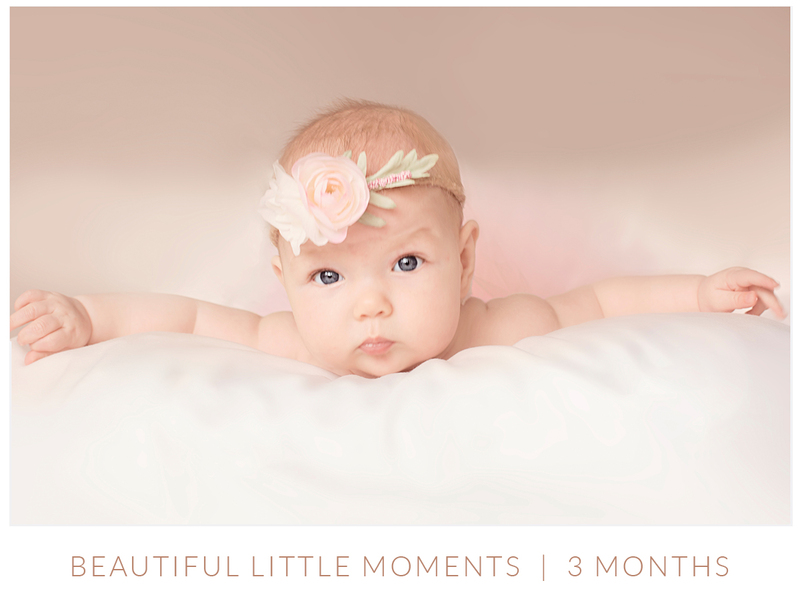 When you purchase a milestone package, you’re buying yourself a set of beautifully captured, professional images of your newborn at all those quirky stages. Your 1 year session will be themed and will be an extra special experience for your little one. A 20×20 inch professionally framed print or montage of 9 images from your first year. A gorgeous folio box including USB & mounted 7×5″ prints of your favourite 15 first-year portraits. £427.50 to be paid 7 days before the second & third portrait session. Please complete this form if you’re interested in capturing all your little ones Milestones.